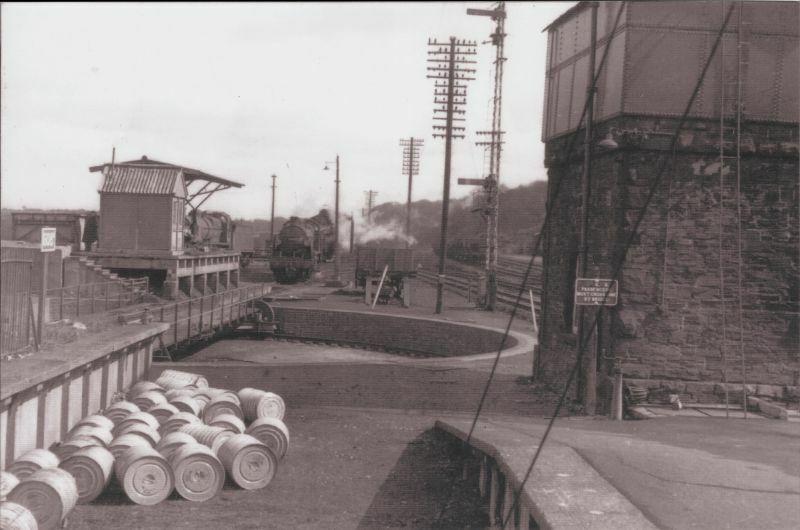 Receiving a batch of 1991 photos of DR from Colin Burges of the Exeter and Teign Valley Railway prompted me to start this page of images of our railway in the past. Contributions welcome, the older the better. 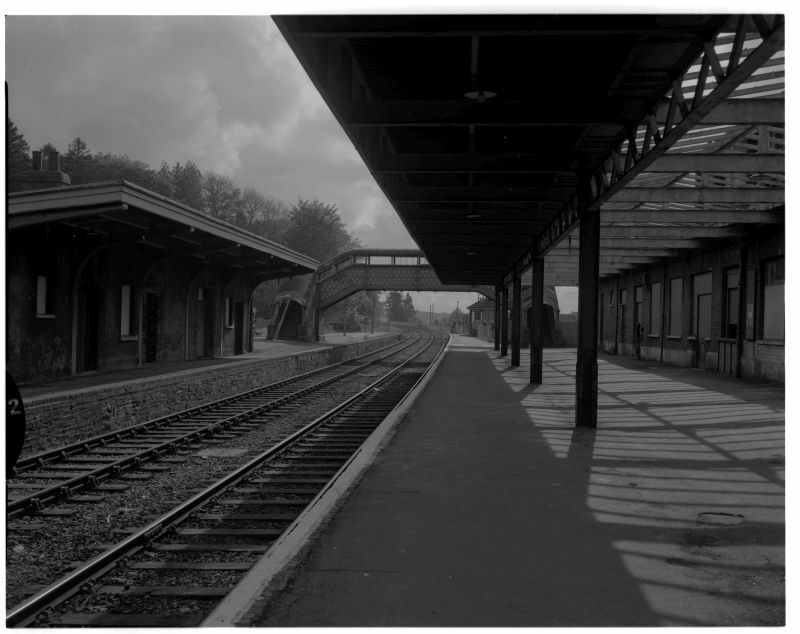 The following 3 photos, received via Tony Hill, are copyright and reproduced by kind permission of Grenville R Hounsell. 0820 Charter from Paddington 1Z08, arrives at Meldon Quarry worked by D1009 'Western Invader' and D1023 'Western Fusilier'. Note the empty side tipping 'Mermaid' ballast wagons; a few of these survive on Heritage Railways. 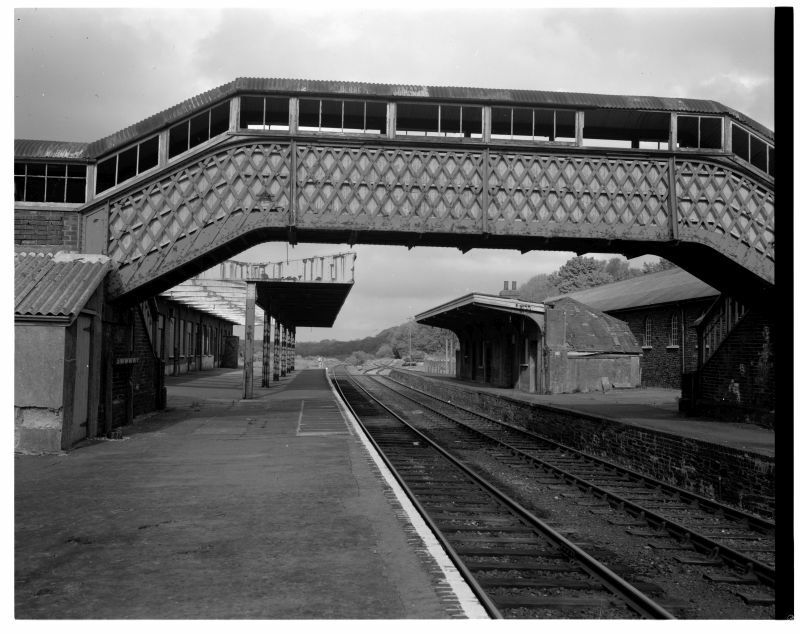 The return train clearly seen on Fatherford Viaduct; note the absence of the Okehampton Bypass/ A30 dual carriageway. The return train of 12 MK I coaches seen at Cowley Bridge Jn, before running via Exeter Central and the Southern to Basingstoke, thence to Reading and Paddington. This was recently (August 2017) very kindly donated. If anyone knows who took it, please let us know. There's not much left of this scene now - just the odd clue. Can anyone explain why the tall signal post with repeater was necessary, or what was the likely content of the drums. 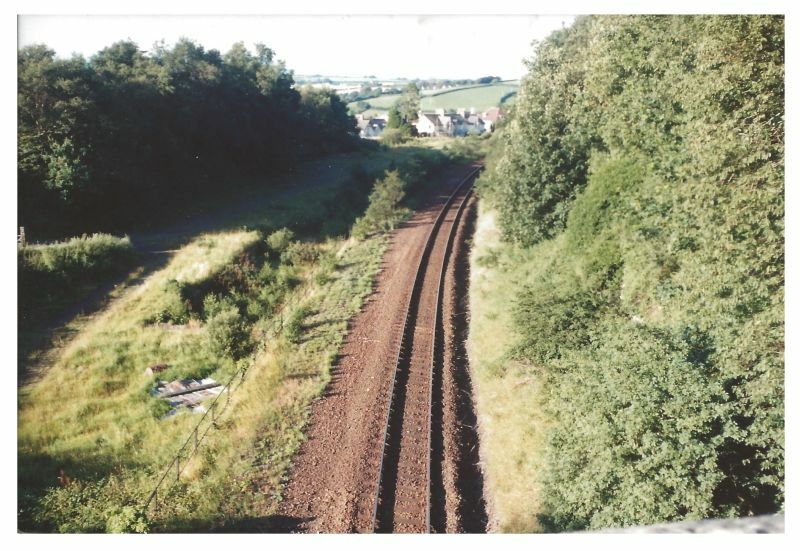 "Almost certainly due to sighting problems for approaching Up trains, because of the footbridge and/or up platform canopy in rear of the signal. 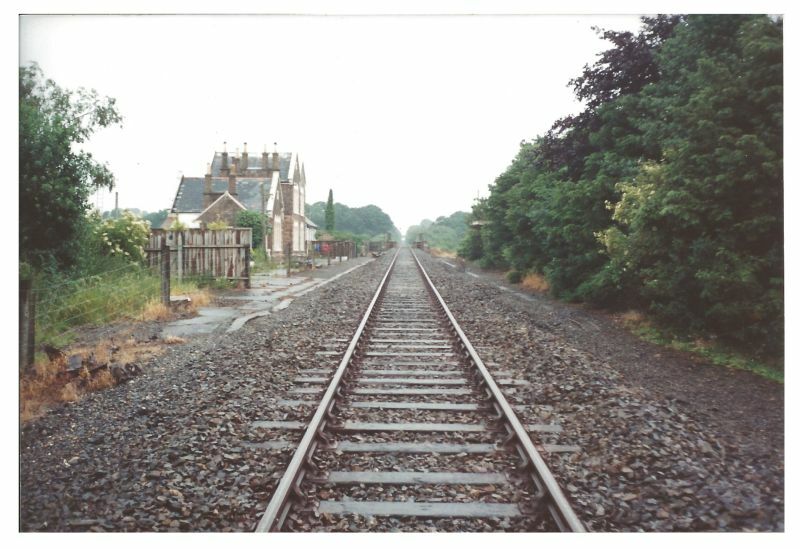 A very common feature on ex-L&SWR lines to have a tall post with two co-acting arms in such cases. Top arm for sighting from a distance, useful for trains not booked to stop, lower arm for easy visibility by driver of a train stopped at or near the signal. There had been a similar arrangement with the Down Starting signal." Our thanks to Chris for getting in touch. As a further postscript to this item, we now have in our possession what we believe to be the finial from the top of the signal. Chris subsequently sent us the following picture, in which you can just discern that the tall Up Starter signal has been reduced to normal height. With through trains ended, the top arm was redundant. 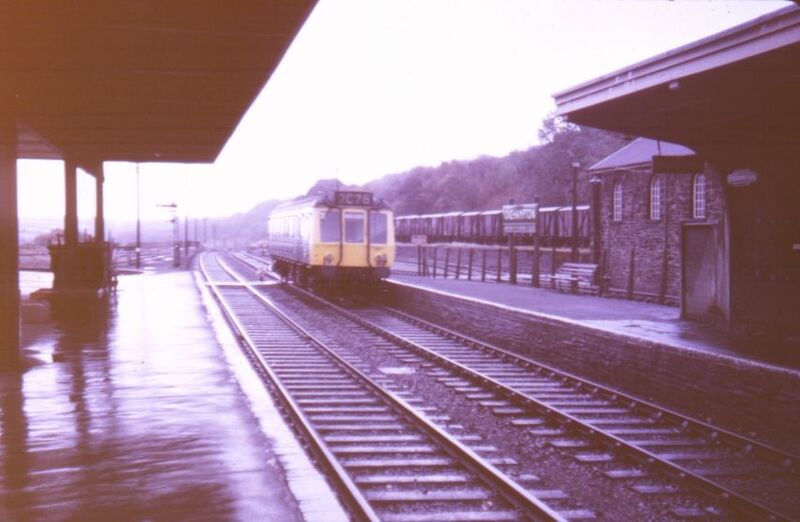 1970/71 picture of a 'bubble-car' DMU at Okehampton, in standard weather. Class 25s 25052 and 25223 at Meldon Quarry with the overnight Wirral Railway Circle Charter train from Crewe to Meldon Quarry and Meeth. More from the Tony Hill Archive. This is the train in the Autumn of 1983 from the then BR WR Hookagate Rail welding depot near Shrewsbury, conveying serviceable 60' flat bottom rails welded into 900ft lengths that were for use at Coleford on the Okehampton line curve. 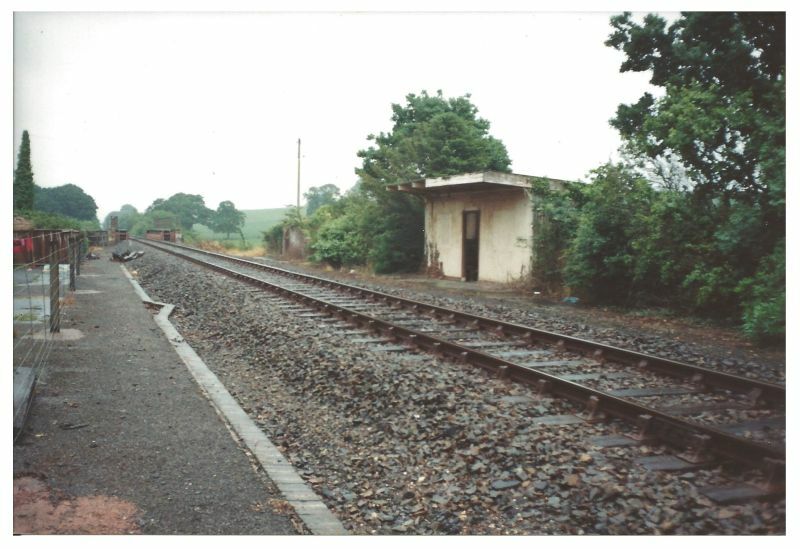 The train is seen recessed in Yatton down loop with a hot box awaiting C&W attention before it could proceed to Exeter Riverside Yard. Colin Burges took these on the day of Okehampton Show. 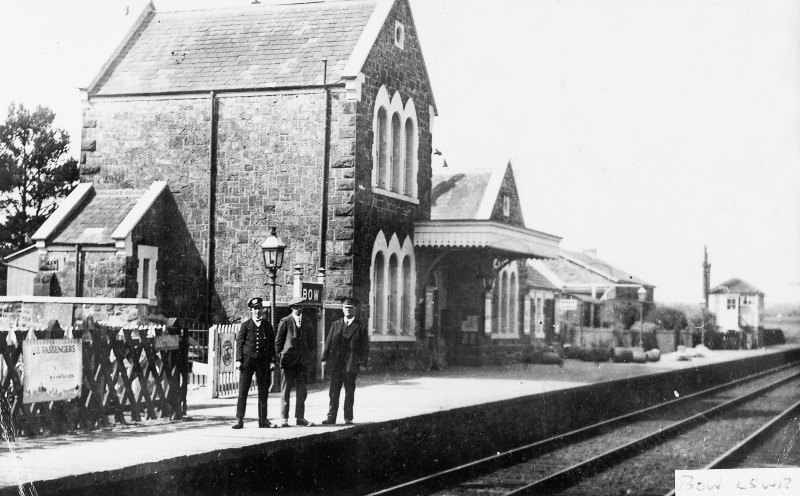 The railway had been closed to passengers for nearly twenty years, and the idea and the name of the Dartmoor Railway had yet to be conceived. 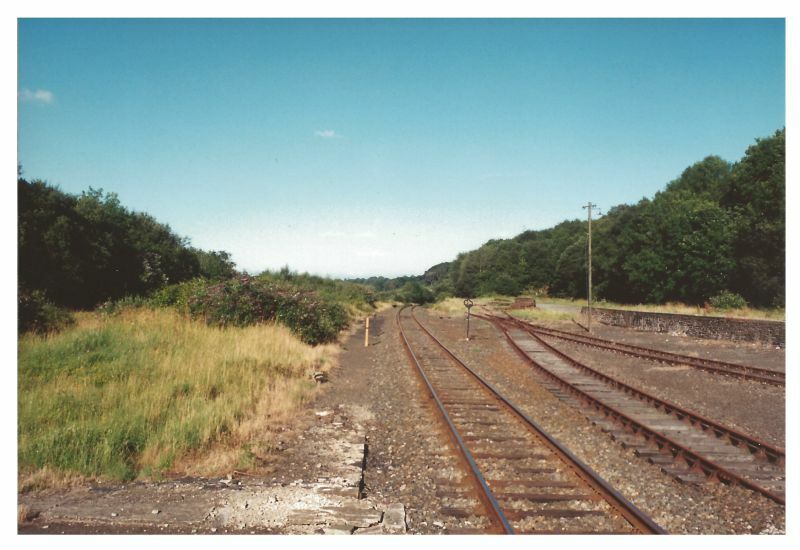 There was much less vegetation, more sidings and other infrastructure, but the buildings were derelict. Which do you prefer - then or now? 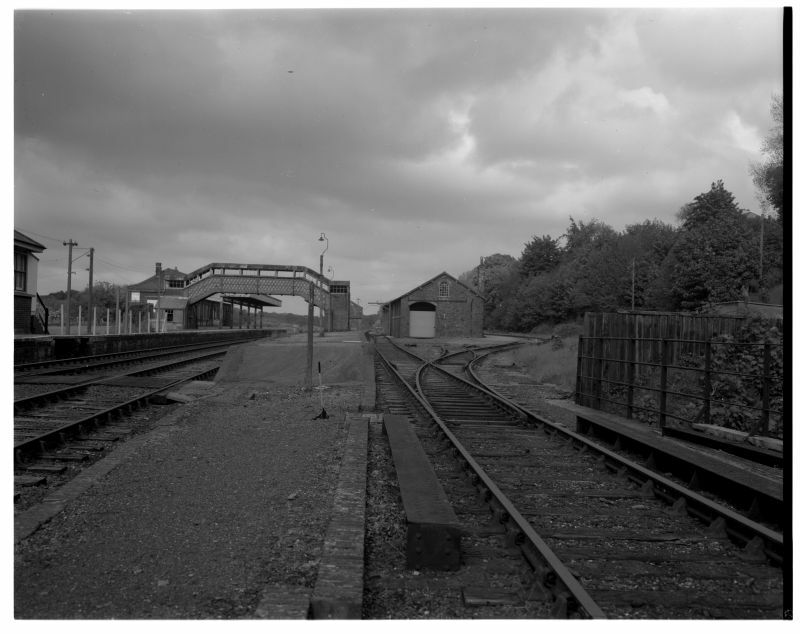 The loading dock of the Okehampton military sidings. 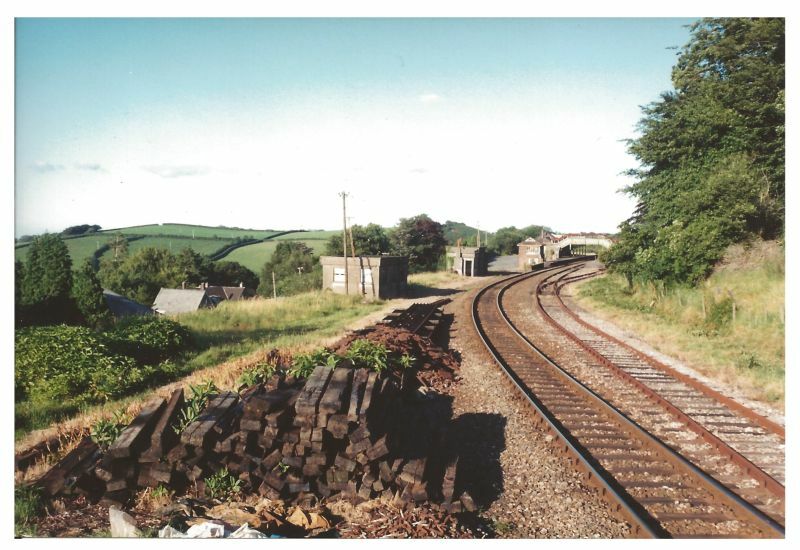 The line climbs towards Meldon above the wall on the right. 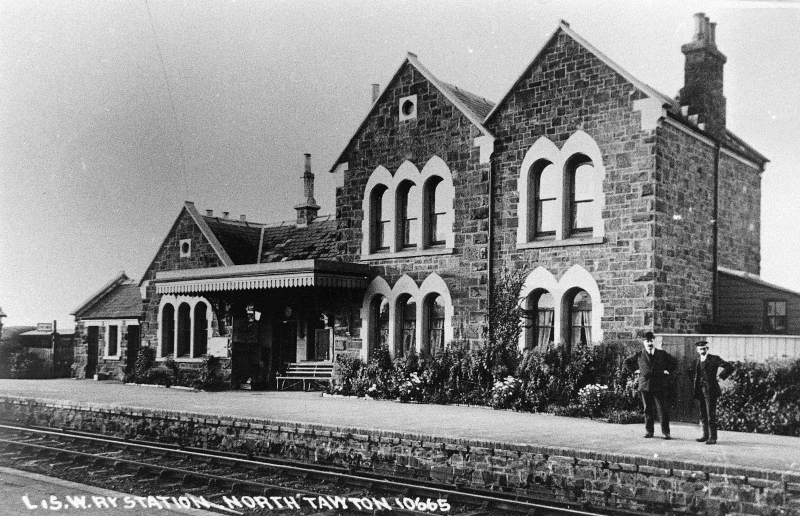 Okehampton Station in a timewarp, abandoned but intact, mercifully free of vandals. 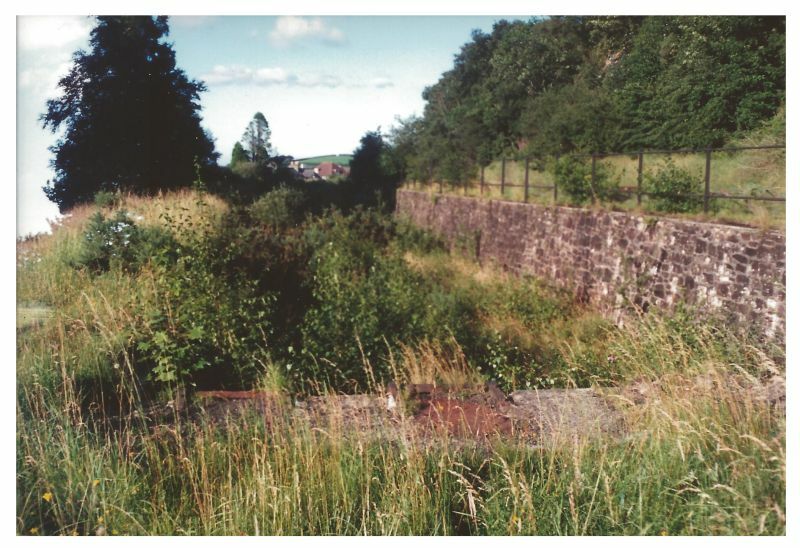 The site of the military sidings, from the Park Road/Tors Road bridge. Colin writes " ..not long after the line had been lifted to accommodate the new road bridge. 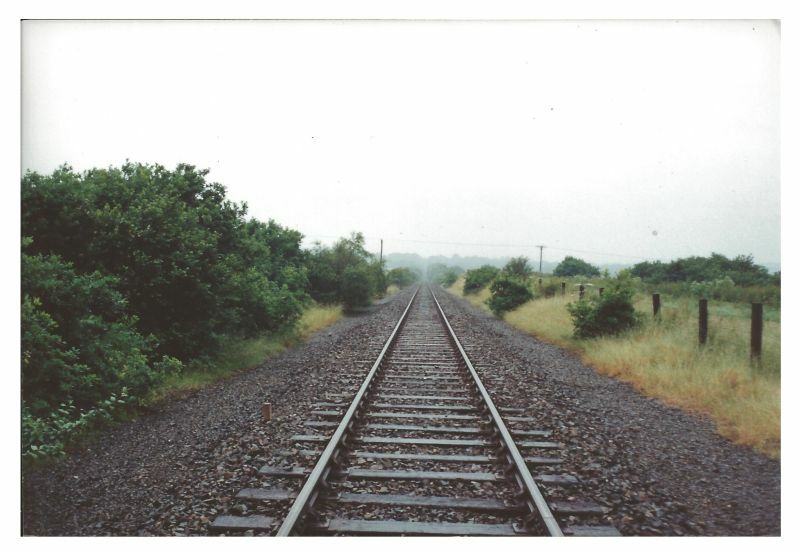 Then, without the lineside growth, the impression of Devon's longest straight was still strong. This is a lasting memory from my boyhood: sitting behind the driver of a D.M.U. and seeing the double line dipping and rising ahead on a journey to Plymouth"
The goods shed, still surving albeit now as a Youth Hostel, with a siding passing behind it. 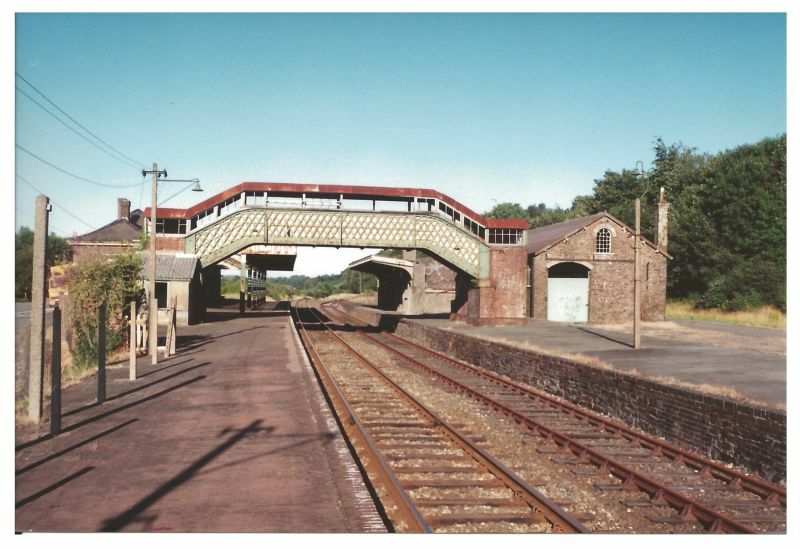 Okehampton station in 1986(?) showing the unrebuilt Platform 2 buildings, sidings where the cycle hire business now operates, and window frames in the footbridge. On a Sunday in May 1978, the 1030 from Exeter Central, a 3 car DMU (class 119? ), waiting at Okehampton before returning to Exeter; one of a series of Charter trains then run by Transport 2000. The last Down "Brighton" Sat 4 March 1967. D868 Zephyr waits time at Okehampton with the last 1012 Brighton to Plymouth 1V65, formed of 9 BR MK1 coaches including a Buffet car, in a mixture of SR Green and the then new BR Inter City Blue/Grey livery. Note the water crane still in situ. 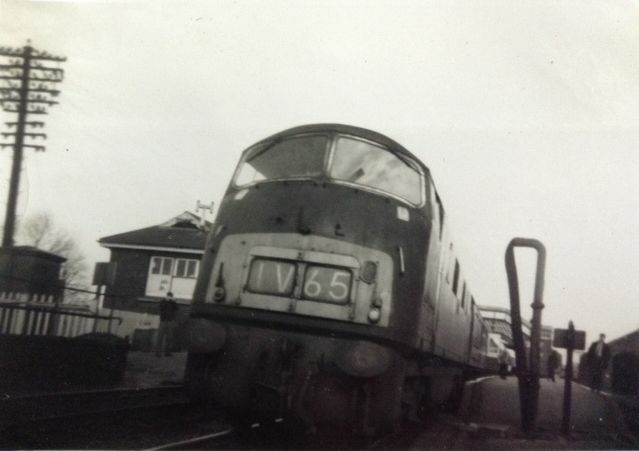 (4 March 1967 was also the date that the 0110 Waterloo to Plymouth Passenger & News, 1040 Plymouth to Brighton and 1650 Plymouth to Eastleigh ran for the last time, thus ending regular loco hauled services on the former Southern Exeter to Plymouth main line). 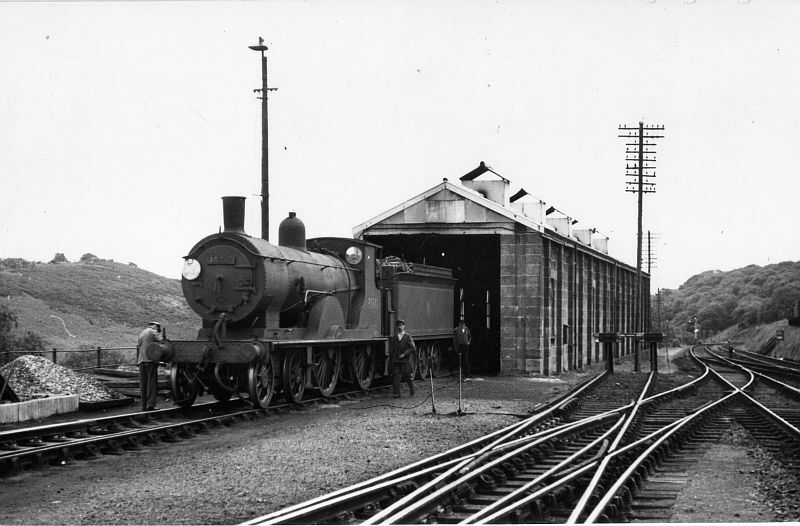 Ex-LSWR Drummond T9 4-4-0 no 30717 at Okehampton in June 1954. (Photo owner/copyright unknown).